Serena is 4 months today. 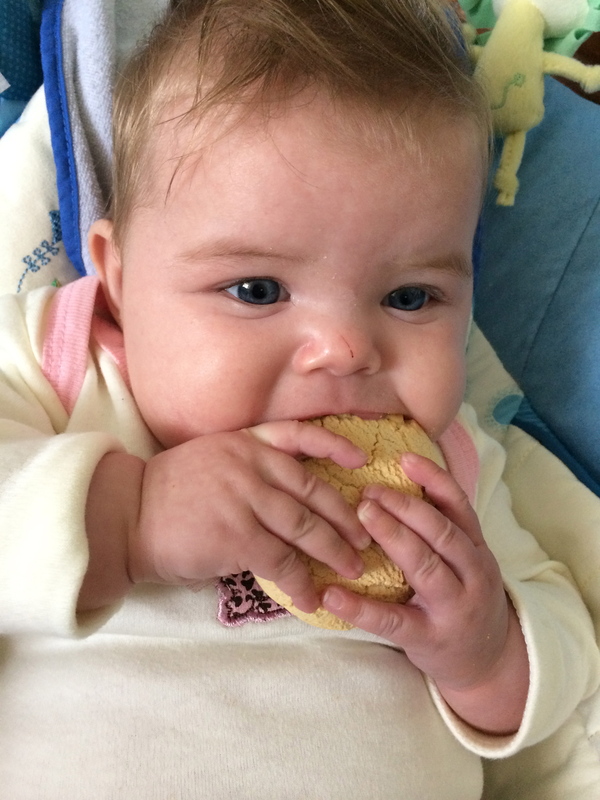 I decided to celebrate by treating her to a rusk – something to gnaw on (under supervision obv) that isn’t her own hand. She sucked at it for a bit but then got bored and frustrated shoved it down the side of her seat and cried at me, looking both puzzled and angry. So I made a paste out of it using some warm baby milk and tried to feed it to her off her new spoon. She had absolutely no idea how to use a spoon, eat solids or swallow what was in her mouth. Instead she ejected every morsel I attempted to give her with a massive “PFFFFFFFTH” raspberry spit, (mainly in my face). I persevered for a bit until we were both covered in it, and she was crying. I find that’s usually one of the more obvious social queues to end a meal so I gave up and put her in the bath where she quite happily tried to drink the bath water. Think I’ll leave the solids and stick to the milk for now. It’s not like she needs it to sleep through (I’m the one writing this at 4am whilst everyone around me, including the baby, snores). Breast is best but formula feeding is fantastic too! For 9 months during pregnancy I listened to midwives and doctors tell me that “anyone could breastfeed”, “breast is best” and “breastfeeding gives your child a far better start than formula”. I wasn’t worried however because I intended to breastfeed so formula feeding never crossed my mind. Anyways, they said anyone could breastfeed and they obviously know what they are talking about. Right?? WRONG!! !